A former foreign minister and environment minister of Japan is criticizing the official response to the crisis over the past nine months. 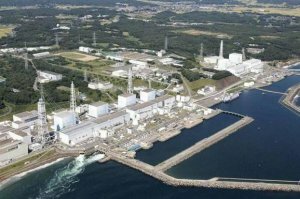 But Yoriko Kawaguchi, of the opposition conservatives, says the government must not let Tokyo Electric Power Company, known as TEPCO, go under at a time of crisis. That, along with increasing generation costs and a slowing demand for electricity (with China being the notable exception), has led to nuclear power production globally falling this year, according to the Worldwatch Institute. But Kawaguchi says Japan, an island nation with scant natural resources, cannot follow Germany, which has decided to shut down all of its nuclear power plants. To maintain economic growth, she says the Japanese government must restore public confidence, which vaporized after the reactor meltdowns. That could turn out to be a task that takes decades to accomplish.